Serial killer Mason Smith rots in prison for the murder of a young woman. However, the secret of another killing still resides within him. Through Eva's unique family ability, she knows Mason is guilty of yet another murder, and she is determined to see him put to justice. When FBI Agent Adam Frazier's father reveals a blindsiding secret, he's forced to delve deeper into his investigation of the Angel of Death, and Eva holds the key. Dogged by secrets and hounded by a mysterious killer bound and determined to end Eva, Adam and Eva will have to find the truth, before becoming victims themselves. Together or apart, they fight to expose the darkness no matter what the cost. This first book in Jennifer St. Giles' new series about three siblings with unique psychic abilities is packed with edge-of-your-seat thrills, chills, twists, turns, and non-stop action. I was riveted from first to final page. The suspense is expertly crafted, characters are realistic and vividly portrayed. The villains in particular are chilling in their evil realism. St. Giles has written in a variety of sub-genres but it's her suspense thrillers where I think she does her best work and I am all in! 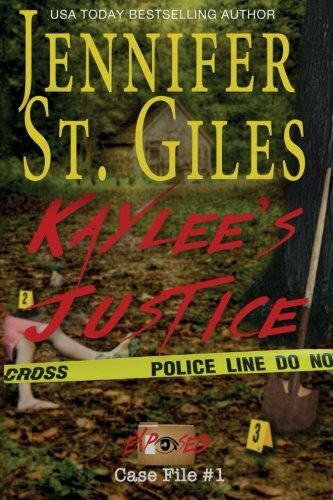 In Kaylee's Justice, she introduces us to the St. Claire siblings: Eva, Iris, and Devin. Each was born with a different psychic ability; abilities they keep hidden from the world. With each sibling, St. Giles has created a complex, realistic character, haunted by the effects of his or her "gift," as well as the tragic events of their family's past, yet continuing to use their special skills to fight for justice. I'm already invested in all of them and cannot wait to read each of their stories. Though Iris and Devin have important roles in this first book, the primary focus of this story is on oldest sibling, Eva and FBI Special Agent Adam Frazier. Both are strong characters, natural protectors, and deeply impacted by tragedy in their lives. I love them individually and together. St. Giles puts them through the wringer - and then some - but it only makes them stronger in the end. While this is not a romance in the traditional sense, there are romantic elements and, by the end of the book, the reader is left with the impression that there's a good chance a lasting relationship may be in their future. 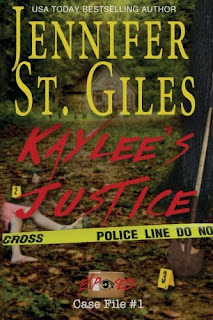 With the way Kaylee's Justice ends, I feel hopeful that we will be seeing more of them in Iris' and Devin's books. I can't wait! I've not read her but this sounds like an exciting read - thanks! I couldn't put it down, catslady! Wow! I have just added this to my wish list. I like a good suspense read. She does suspense really well, Pamela!